Savannah, Georgia, founded in 1733, was the first planned city in America. The city’s unique design offers 22 historic squares (of the 24 original) surrounded by historic homes, inns, churches and monuments and so much more. Live Oak trees, branches heavy with spanish moss, quietly guard the city’s historic district. Savannah’s welcoming, “Slow-vannah” pace offers something for everyone: foodies, history buffs, art aficionados and adventurers. 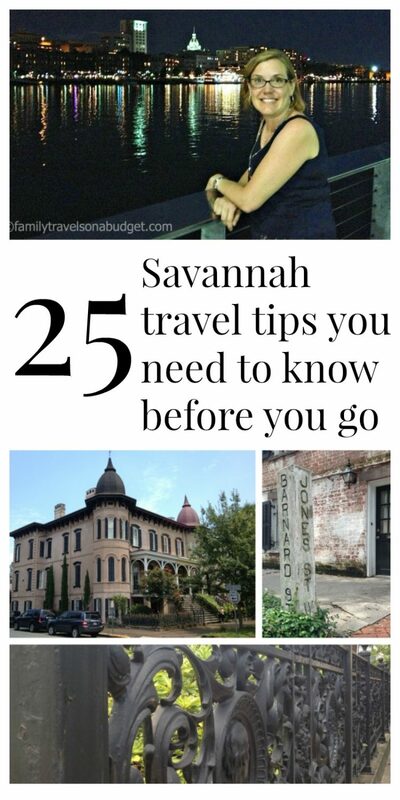 Use these 25 Savannah travel tips to plan your trip and discover all this grand, southern belle has to offer. 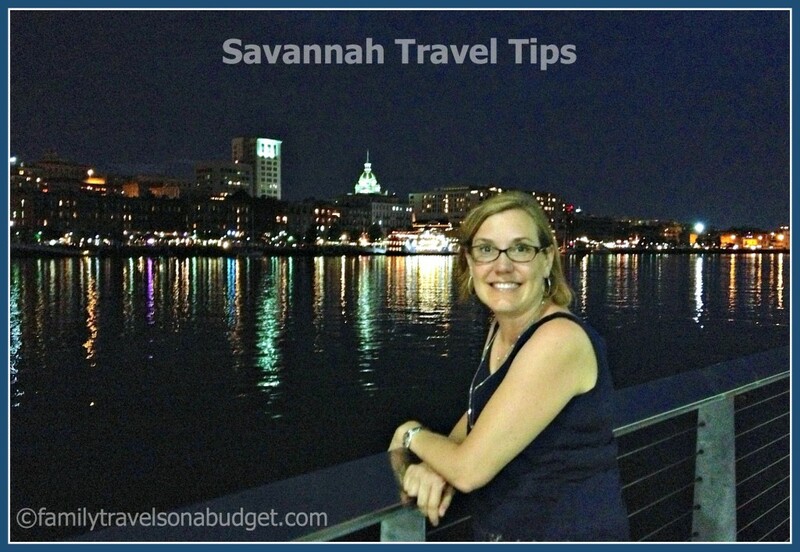 There’s no particular order to these Savannah travel tips…. all are helpful! Familiarize yourself with a city map before you go. Request a visitor’s guide from VisitSavannah.com, the city’s convention and visitor bureau. Take a guided tour the first day, whether by trolley, horse and buggy, or pedicab. It’s hard to get lost after taking a tour. If you take a “hop-on, hop-off” trolley tour and your guide is bland, hop-off and catch the next trolley. Two standout guides were Wayne and Stew! We enjoyed their entertaining style! Wear comfortable walking shoes, not brand new. 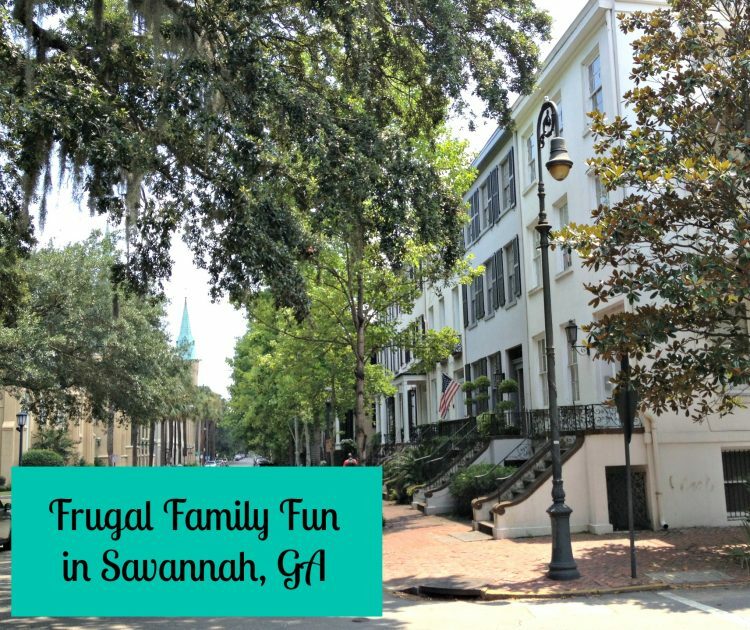 Savannah is a walking city, and you’ll want happy feet! 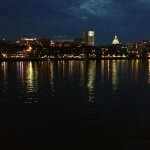 Stay in the riverfront/historic areas all within easy walking distance to anything in the historic district. Leave the car parked, and enjoy the city on foot. 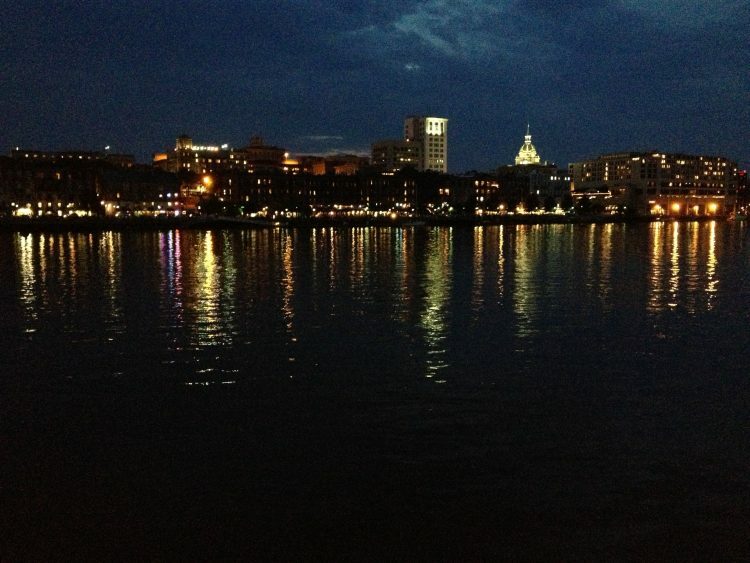 Take the free ferry across the river to enjoy the city view from the convention center. A trip across the river takes about 10 minutes. Go once during the day (we didn’t) and again at night. Make dinner reservations before you travel! I use Open Table to make reservations wherever I travel. It’s easy to use and offers accurate reviews. An important Savannah travel tip for museum goers: Weekday visits are less crowded than weekends. We visited Wednesday through Sunday, and on Saturday the crowds had easily tripled. Use crosswalks! Savannahians know that tourism is vital to the city’s success and most tend to stop for pedestrians at crosswalks. Outside the crosswalks, and that’s Savannah travel you don’t want to risk! With that said, don’t assume that vehicles will stop for you! Be aware! Take advantage of freebies! We enjoyed a spontaneous tour of Savannah’s oldest fire station, one of our favorite places! This station is located across the street from the city’s main cemetery. Look for multiple pass discounts to save on tours. Watch the “fine print.” Some passes require that visits be made in the same day — and plan your trip accordingly. Allow approximately one hour to tour historic sites. Some take less time and others take a bit more. 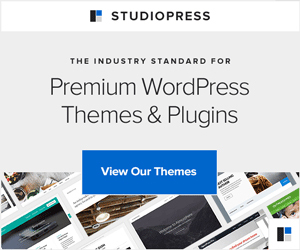 Plan for an hour per site to avoid overbooking your day. Most tour homes open around 9:00 or 10:00 a.m. and close at 4:00 or 5:00 p.m. Enjoy the market areas: River Street, The City Market and Broughton Street. Each area offers a unique shopping experience, dining and atmosphere. There’s something for everyone in Savannah. Visit the Forsyth Square Farmer’s Market on Saturday mornings. While small, the market offers organic foods including some prepared breads, fruit popsicles, honey, fruits and veggies. Grab a snack and enjoy the park. Sample the pralines at River Street Sweets (on the riverfront) and Savannah’s Candy Kitchen (in the City Market). My friend and I researched extensively — enjoying several samples during our trip — and agreed on which is better. I’ll share that in a later post, but don’t take my word for it. Do your own research! Ask the hotel concierge for assistance. Savannahians are proud of their tourist friendly city and will do whatever they can to help you enjoy your trip. Pam, the hotel concierge where we stayed, offered great advice for our trip. Drink water! The summer heat and all that easy walking are draining. Drink water! Talk to people. We met wonderful people from Savannah and across the U.S. Savannah is a friendly city! Linger. There’s no need to rush in “Slo-vannah.” The city moves at a relaxed pace. Enjoy it! Read historic markers, take photos (even pose on the staircases for grand shots), enjoy an ice cream cone mid-day. 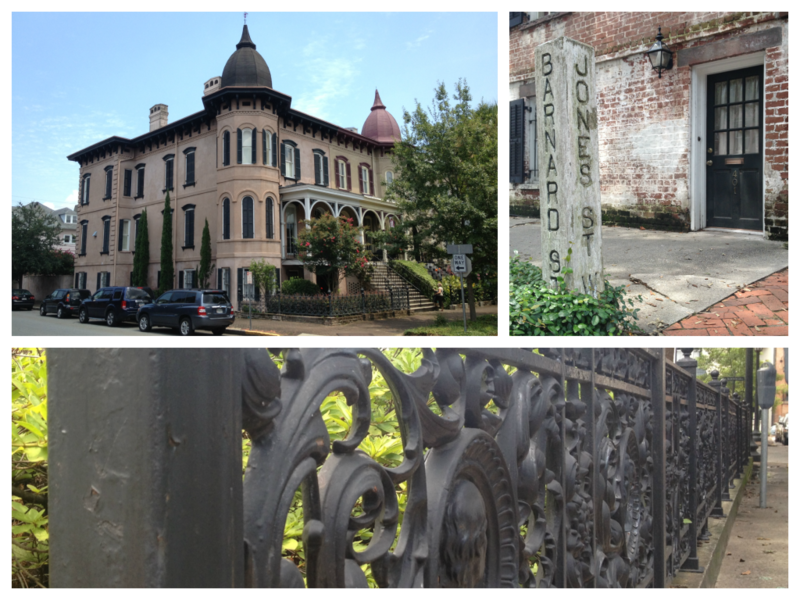 Since the 1950’s Savannah has worked tirelessly to preserve and protect its history. It’s worth a visit! Sign up for our newsletter, featuring tips and other great info (sometimes even discounts)! I went to Savannah a couple years ago and was surprised that there’s so much nightlife there. Would love to go back again. My tip: get a hotel room near the historic district. That’s where all the fun is. These are great tips! I would love to go but just not when it’s scorching! In regards to your crosswalk tip … people should really follow rules regarding those but also have consideration for the drivers. Sometimes people either walk too slow or just assume that the cars will stop. Especially tourists who are distracted or unaware of the local customs/laws! Savannah is a beautiful city! I love the old southern homes. Definitely worth making a trip for those who haven’t been. Well I have to say that Savannah was barely on my vacation radar until this post. I love walking vacationa and historic homes, sites etc. Thank you for all the amazing tips. I’m there with you. I expected historic homes and quiet, tree-lined streets. I did not expect the dining and entertainment options. Savannah is much like a sleepy Paris. THoroughly enjoyable! Wow talk about a glamorous photo Karen – Gorgeous! The way you described the moss hanging Savannah makes me want to go there NOW! Thanks for the great tips too. Awww shucks! Thanks. 🙂 We took a spur-of-the-moment ferry ride across the river, and I’m so glad we did. The city is gorgeous from there. You’d love the city! I thoroughly enjoyed my trip to Savannah. The Cathedral is breath taking and is a must see for its beautiful design and architectural elements. There were no bad meals in Savannah, although some stood out more than others. It’s a great city to visit. I thoroughly enjoyed my trip too… great friends make for great travel companions. I want to go with you to Paris to see St. Chappelle!!!! 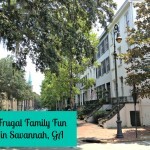 Before our life in Texas, we lived in Savannah! In fact, my husband is from Savannah. 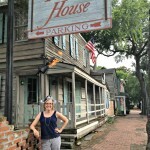 Some of our favorite restaurants: Mrs. Wilke’s Boarding House (old house, food is served family style), Vinnie Van Go Go’s Pizza and Elizabeth’s on 37th for an elegant Southern dinner in a beautiful home. Don’t miss the Cathedral…it’s always open! 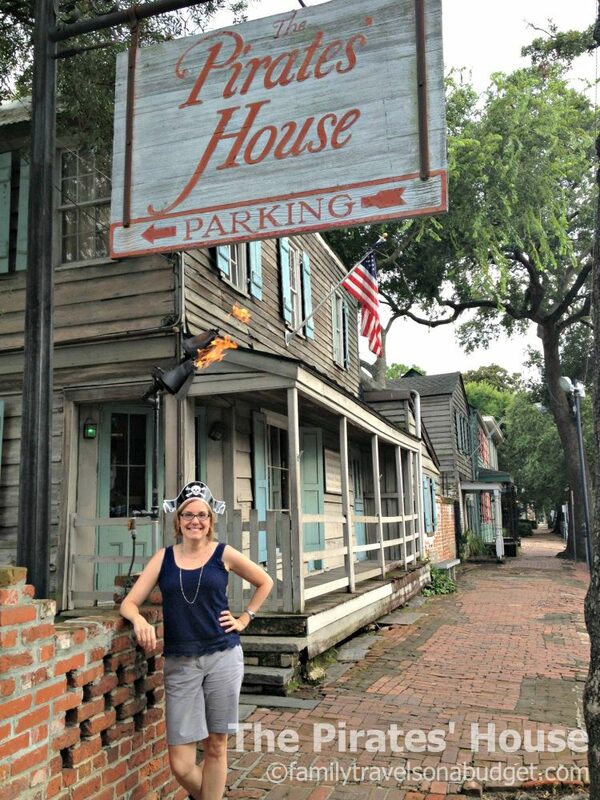 If you have extra time, there are some wonderful day trips from Savannah: Hilton Head, St. Simon’s Island & Cumberland Island are my favs! Mrs. Wilkes’ is such fun — though only open Monday-Friday, 11 to 3. Arrive early to claim your place in line. We got there at 10:30 and were seated at 11:30. Yummy food. The cathedral is gorgeous… photos on that later this week. I went to Savannah a couple of years ago. I loved it. The city has an old world feel to it and it is just beautiful! We took a trolley tour (you can by tickets on the river walk) and had the best time. The tour guides are natives and you really learn a lot about the history of the city. The Savannah College of Art and Design is located in town and their gift shop is awesome. You can buy beautiful works of art done by the students and faculty of the school! Of course you can also go to Paula Dean’s restaurant Lady and Sons, ( hope it is still open), and 45 Bistro is another favorite . Lady and Sons is still there. We opted for some other restaurants, but I saw the fried chicken through the window. Next trip, I will shop at the SCAD gift shop! Thanks for a great tip!